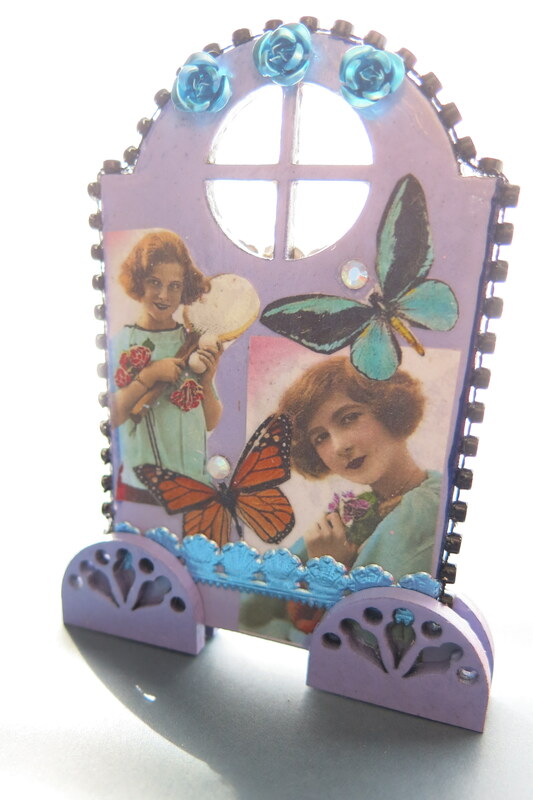 Purple Painted Ladies ACEO ATC that is 3 3/4 tall X 2 1/2 wide. 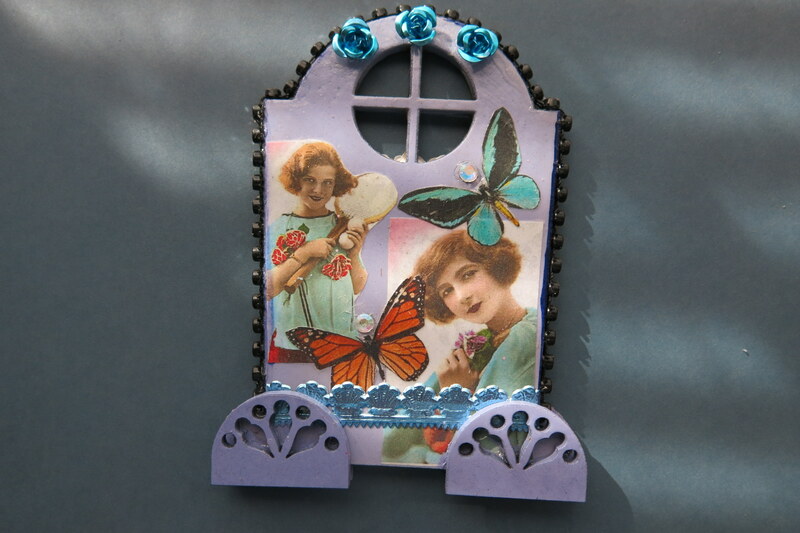 hand collaged, Dresden foil shells, Rhinestones, small aluminum turquoise flowers, purple paint, beautiful vintage look pictures. 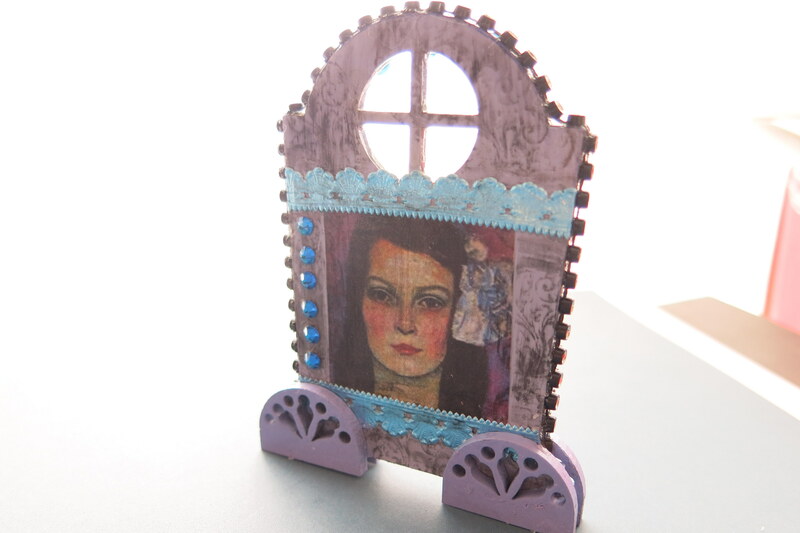 I have more art & jewelry items in the works too… see you soon!